The Muhammadi Trust of Great Britain and Northern Ireland cordially invites you to attend a seminar on 13th of May 2014, coinciding with 13th of Rajab, the birth anniversary of Imam Ali (as). Dr Reza Shah-Kazemi is the author of Justice and Remembrance: Introducing the Spirituality of Imam Ali. He is currently working on a monograph entitled: The Prophetic Reality: A Qur’anic Exploration in the Light of Imam Ali’s Teachings. 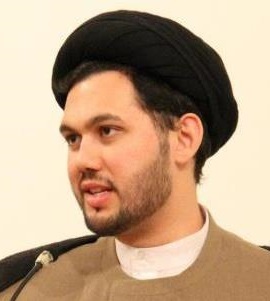 Dr Reza Shah-Kazemi is a Research Associate at the Institute of Ismaili Studies, London; managing editor of Encyclopaedia Islamica; and author of a number of books on comparative religion, Islamic Studies, and the teachings of Imam Ali. His latest book is The Spirit of Tolerance in Islam (London: IB Tauris, 2012). 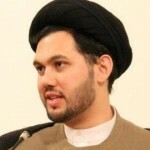 Mowlana Razawi is an international speaker and teacher. He has lectured extensively on Islamic theology, Shi’a history and principles of jurisprudence. He has been engaged with youth groups and interfaith organisations.